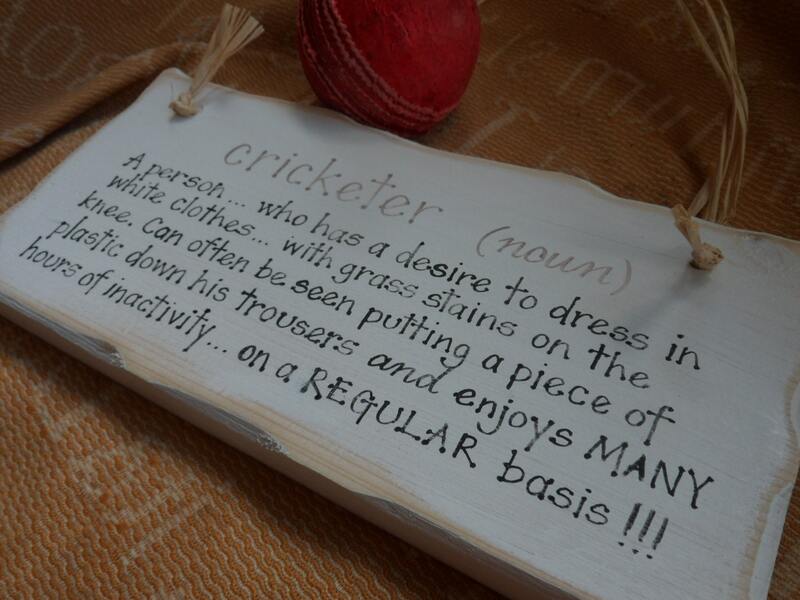 Here at Signsatsimplywood we have sporting themed handmade signs and plaques made gifts just for him. 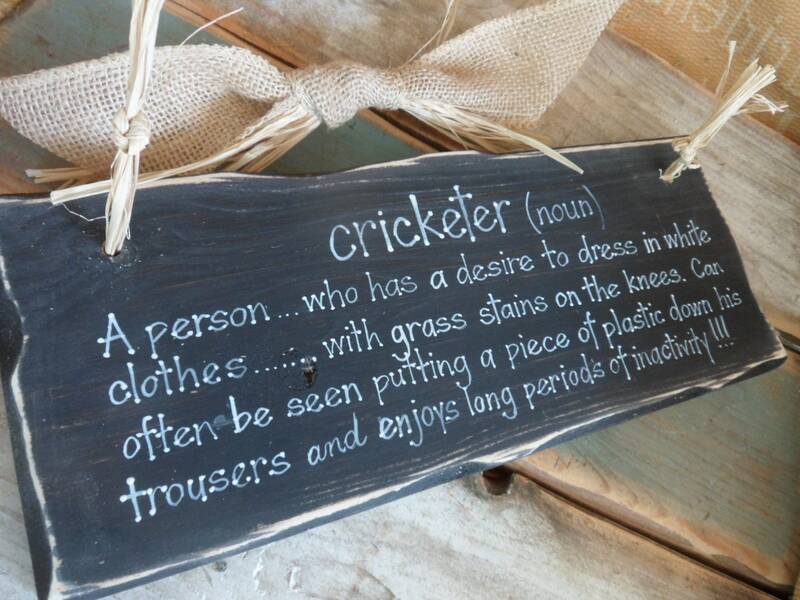 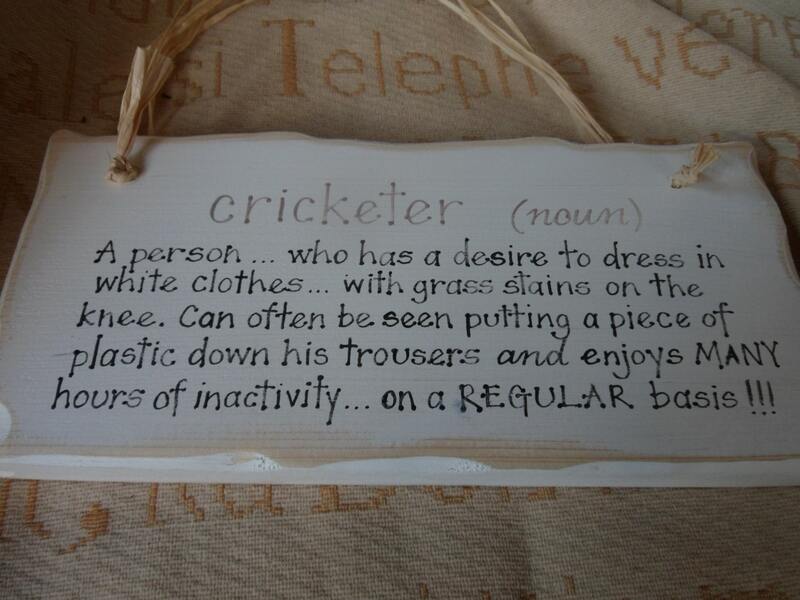 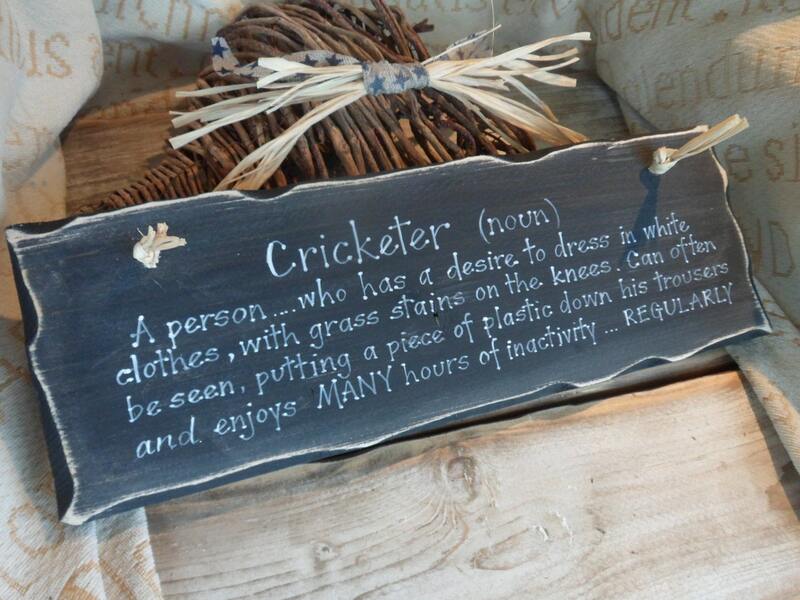 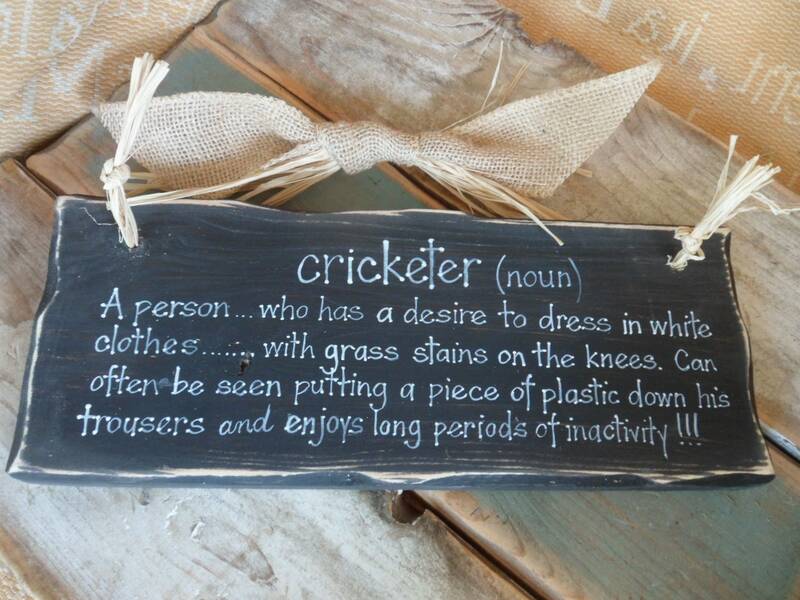 The cricketer (noun) plaque is a humorous sign and perfect for the sporting man in your life. 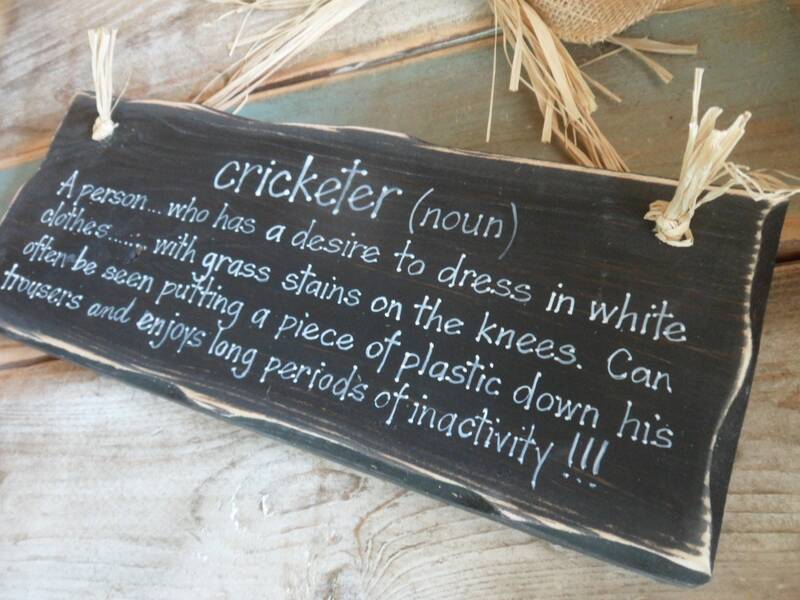 It is a shabby chic and lightly distressed sign that has been prepared and sanded back to reveal some of the wood grain. 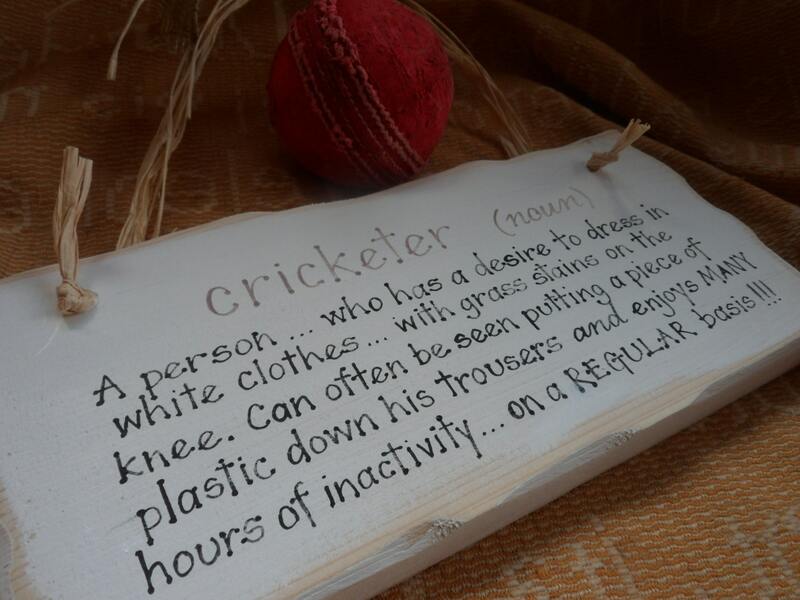 Available with or without an illustration it makes the perfect stocking filler. 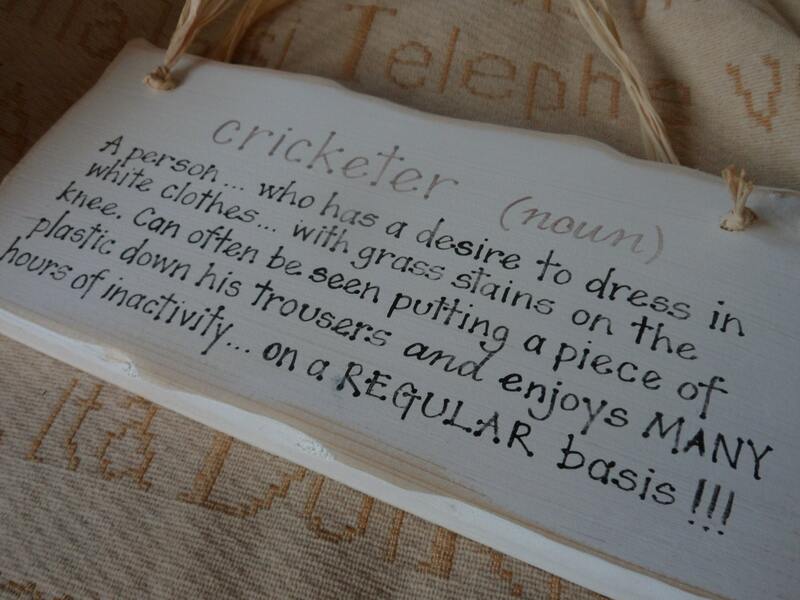 Such a luvly good quality gift for my Dad he's gonna love it!